I'm scheduled to go on a business trip to Spain in June, so I needed to renew my passport, which expired in April. 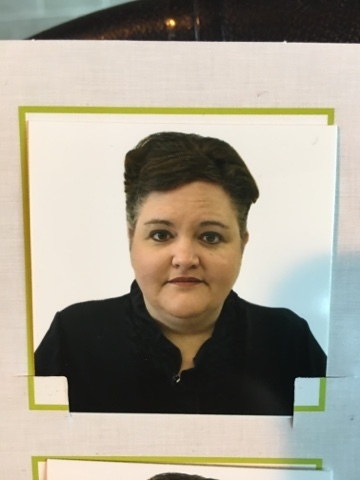 I filled out the application online and went to the post office before work one morning to have my photo taken and mail everything off to the State Department -- feeling quite prepared and pleased with myself. Because nothing is ever that simple, the post office doesn't accept passport-related requests until 10 a.m. It was only 8 a.m. And their passport photo machine was broken, so I'd need to have my picture taken somewhere else and come back. Walgreen's was nearby, so I decided to go there, have my photo taken and go back to the post office later in the day. Yes, THAT Walgreen's. So, Walgreen's, at the photo center. Me: "Hi, I'm here to have my passport photo made, please." Her: "Okay, they have new regulations. You can't have anything white on, you can't smile and you have to have your hair pulled back." Me: "Hmm. Great. That sounds amazing. And this will be my photo of international record for 10 years." Her: "Yeah, I know, right? You can just pull that suit jacket around you real tight, like up to your neck so that white on your shirt doesn't show. And do you have a ponytail holder? You gotta put all that hair up." Me: "Oh, I can't just push it behind my ears?" Her: "Nope. Your ears are, like, apparently one of the most identifiable parts about you.The government has this new software that targets the different points on your ears and can identify you, like, maybe TOTALLY BY YOUR EARS." Me: "OH. Okay. Sure, well, yeah, ears. Let me pull it up." Her: "Pull that jacket reeeeeeal tight so I can't see any of that shirt, 'cause that white background is like a green screen and that white on your shirt'll just disappear like a ghost." Her: "Don't smile, like, at ALL." Her: [pulls camera away from face and scrolls through pictures, pauses] "Erm, Ima take a couple more." Her: [pulls camera away from face and scrolls through pictures, pauses again] "Erm, Ima hafta crop your hair out. This'll take about 10 minutes. Just walk around for a while and I'll have it ready for you." 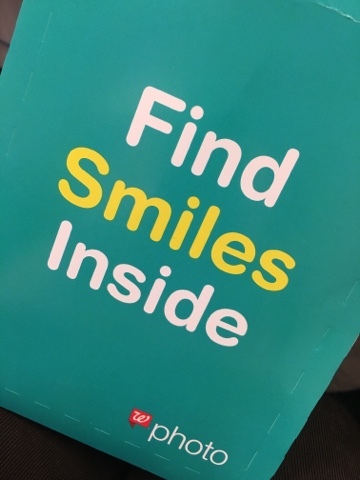 After a couple more minutes she printed out two copies and brought them over to me, ceremoniously placing them into a teal-and-white cardboard envelope proclaiming, "Find Smiles Inside." Internet, you think you've prepared yourselves for what lay inside that envelope, but I promise you, you have not. Please ask all small children to leave the room now, as you prepare to behold my government-issued ID THAT DOES NOT EXPIRE FOR 10 YEARS. I have really GOT to stop going to that Walgreen's.